With your generous support, we can continue giving back to the animals. Now is the time. Companionship. Friendship. Unconditional Love. Animals give us so much. And with your generous support, we can continue to give back to them. Now is the time. Since opening the Lied Humane Center building in February of 2000, we've served more than 450,000 animals who required surgeries, shelter, grooming, training, rehabilitation and more to get back on their feet. It comes as no surprise that parts of our shelter are in need of improvement. Renovate 37,107 square feet, which is 45% of our existing shelter. Add 12,000 square feet of new animal housing space. Reduce stress and length of stay for the animals. 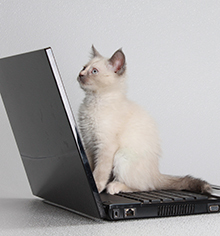 Transform the way public views, accesses and interacts with adoptable animals. 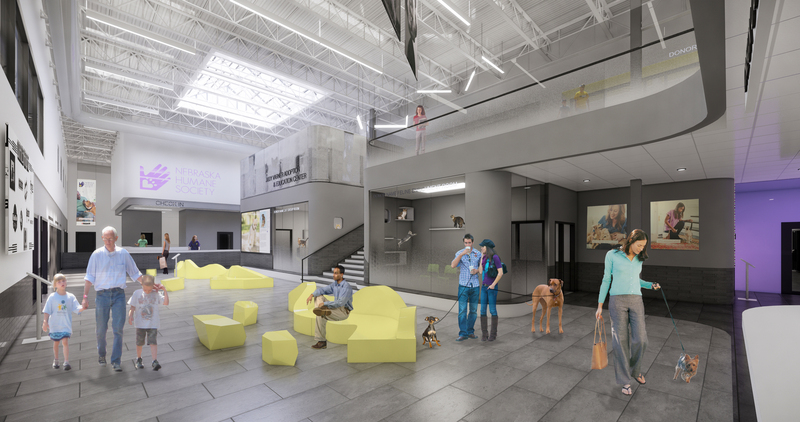 According to CEO, Nancy Hintz, "the new design will benefit both animals and humans alike with state-of-the-art sheltering practices, enhanced public services, humane education opportunities and interactive adoption spaces." Work began in December 2018 and will continue through Spring of 2020. Our cats will soon enjoy a new place to roam, scratch and perch. Taller condos will allow for instinctive vertical movement, lowering stress and providing a natural living environment. Immersive group rooms will change the way the public views cats, encouraging potential adopters to interact and spend quality time finding the perfect companion. 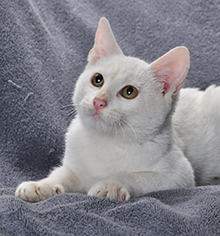 Other shelters that have implemented such changes have experienced a lower stress rate among cats, a 50% increase in adoption rates and a 60% reduction in the spread of diseases. What's new for our cats? Large, free roaming group rooms. Tall cat condos with vertical space to leap and perch. A dedicated cat enrichment room. Over the past 20 years, our dog population has changed. We are now sheltering more dogs whoa re fearful, lack training and require behavior modification. Currently, these dogs are not easily accessible to the public and require an appointment to be seen. The Judy Varner Adoption and Education Center will provide the public with supervised, direct access to these dogs' kennels, increasing the opportunity for expeditious adoptions. 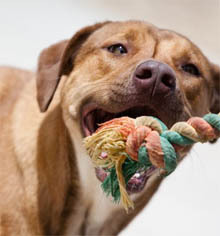 What's new for our canines? House dogs in groups according to size and temperament. Reconfigure individual kennel spaces to reduce stress. Improve acoustics and lighting to reduce stress. 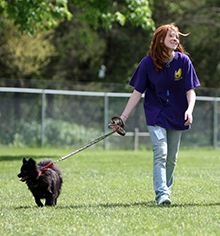 Allow potential adopters access to see and interact with difficult to place dogs. Is it very stressful for animals to be housed in areas where they are subjected to the smell, sound and sight of other animals who are their natural predators. The Judy Varner Adoption and Education Center will provide new and separate accommodations for prey species (i.e., cats, dogs, ferrets). Mammals and exotics will have their own enclosed adoption space as a 10% increase of these species is expected by shelters in years to come. What's new for our critters? New and separate accommodations for prey species. Separate enclosed space for mammals and exotics. 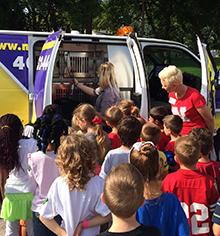 Educating children and families on how to properly interact and care for animals is at the forefront of our new education initiative. Interactive education stations will promote and support responsible pet ownership, animal care and training tips, streamline staff positions in customer service, help facilitate adoption counseling and increase accessibility to news and events. 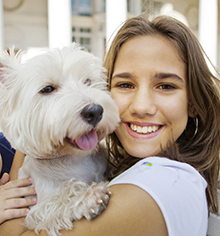 Digital messaging to promote responsible pet ownership and provide animal care and training tips. Your help is needed to complete this transformative project. We are counting on your compassion, participation and generosity to help more animals in their quest to find their forever homes. Naming opportunities are available at the $5,000.00 level and above. For more information, please contact Kathy Roum, VP, Development. Thank you for sheltering hope and healing hearts. A total of 37,432 square feet is being renovated and enhanced. This represents 45% of our existing shelter space. A second floor will be added to the lobby and administrative offices will be moved to the west building, making more space available for animals in the main building. Will the number of kennels increase? While the number of kennels will not be increasing, changes to the size and shape of existing kennels will take place to reduce stress and length of stay for animals. Renovation work began on the west building in December 2018. Work is scheduled to begin on the main building in May and will be complete in the Spring of 2020. Will the shelter stay open during construction? Normal business hours will not be impacted, and the shelter will stay open. We will be utilizing other shelter space/buildings during the renovation process and will provide updates on changes and relocation of services during the project. More information on how to navigate our campus during the renovations to come- stay tuned!